Bring the family out to the country to enjoy Saturday afternoons finding fun at Rockford Park District's Lockwood Park. There's a covered pony ring for children ages 1-7, the Children's Farm Animal Barn with friendly farm animals, and horseback trail rides for riders age 8 and older. To complete their visit, families can relax together on a wagon ride through the scenic meadows and woods. Children's Farm Animal Barn visits are free. Advance reservations are recommended for trail rides; trail ride reservations, as well as fee information and ticket purchases for other activities with fees are available at www.lockwoodpark.com or by calling the facility. 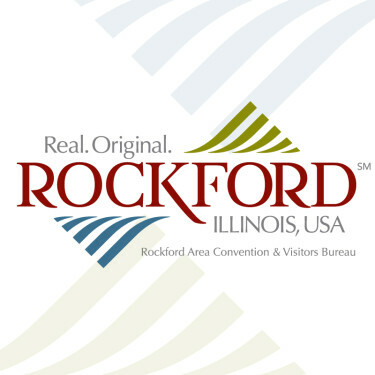 These are some of the many family friendly low-fee and free programs offered by the Rockford Park District. - Pony ring and Children’s Farm Animal Barn, noon-5:00 p.m.
- Trail rides, noon-4:00 p.m.
Activities will be closed to the public on some Saturdays due to holiday weekends and special events; check website for these dates. Activities may close early if attendance is low; to confirm hours, please call ahead. Visitors are welcome to picnic at the park; two playgrounds are also on site. The park, its facilities, and some programs are wheelchair accessible. For more information about the park and its weekend activities, equestrian programs, group programs, and facility rentals, visit www.rockfordparkdistrict.org/lockwood or call 815-987-8809. Information on accessibility and adapted equipment for park visitors with disabilities is available at 815-987-8800. Lockwood Park Trailside Equestrian Center - 5201 Safford Rd., Rockford, IL 61101 - From I-90: Exit at Riverside Blvd. and go west to Springfield Ave. Turn left, (south) on Springfield to Safford Rd. Turn left (east) on Safford Rd. Lockwood Park is on the left. ----- From the south, I-39 to U.S. 20 Bypass. Go west on Bypass 20 to S. Main St. North on Main to Springfield Ave. Turn left (west) on Springfield and follow around west Rockford to Safford Rd. Turn right (east) on Safford Rd. Lockwood Park is on the left.